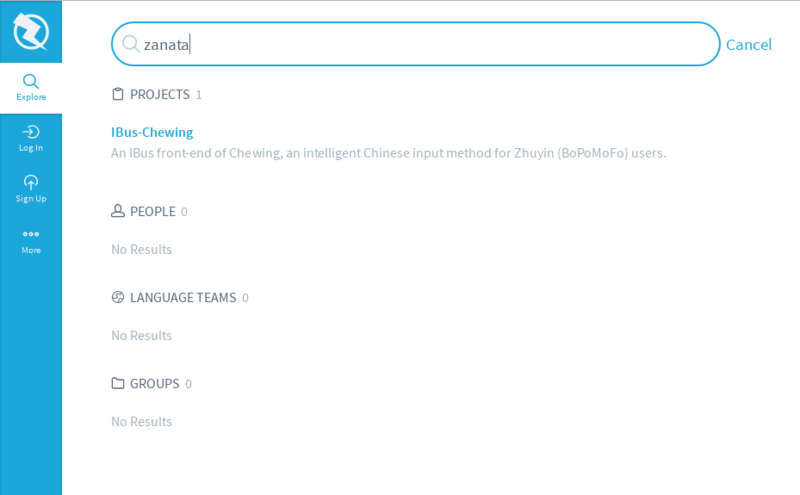 User can explore projects and groups available in Zanata. 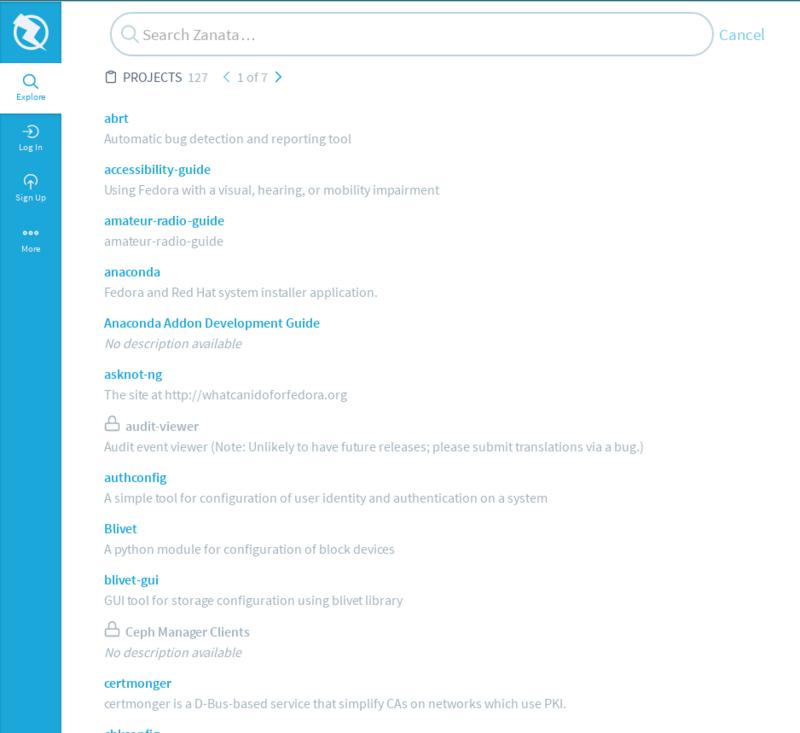 By default, explore would display list of projects and groups in Zanata. To search for project, group, user or language team, enter text in the text field.